Matthew Minson is an award-winning, author, cartoonist, filmmaker and physician specializing in humanitarian aid. He is the writer of New Soul (2013) directed by Mike Fry and starring Larry Miller based on his prize-winning short story, The New Souls Department. He is a Stowe Story Labs alum, and the author of an award-wining series of books published by Texas A&M press. He was a Faulkner-Wisdom short list in 2017 and was nominated for a National Book Award in 2016. His film credits originated with “Rocketman” starring Harland Sanders and William Sadler in 1997 as the director of Mobil Med which provided location medical services to the film industry and continued through 2003 when he turned his attention to the literary enterprise and the optioning of his first book. 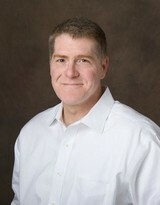 He is the producer of The Medical Minute with Dr. Harry Fish for which he is a contributing writer. He has been a contributing writer to and has appeared on C-Span, CNN, National Public Radio, PBS and a host of others. He is currently working on development of a true crime series and his next book.